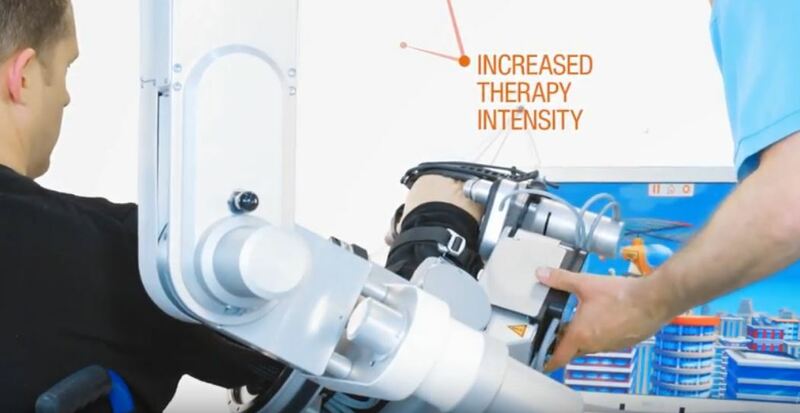 The Hocoma Armeo is a robotic and sensor-based therapy solution for patients who have suffered from a stroke, traumatic brain injury or neurological disorder which results in hand and arm movement impairment. Research suggests that the neural plasticity of the brain is retained after an injury, and now connections can be made through intensive, repetitive, task-oriented movements. These exercises allow the restoration of movement and functionality and motivates patients throughout their rehabilitation process. 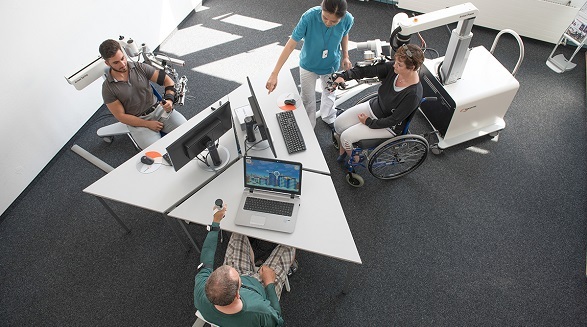 The Armeo enables patients to practise and repeat movements with their hands and/or arms to support their recovery and restore their movement. Click here to read three clinical reports using the Armeo. 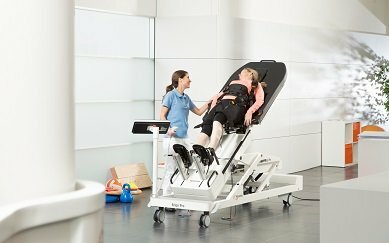 The Armeo range of products address different patient and therapeutic needs across the stages of rehabilitation, from acute rehabilitation to final outpatient therapy sessions. They will improve the efficiency of therapy treatments as the exercises are self-initiated, self-directed, challenging and motivational. Even severely impaired patients can practise independently without the constant presence of a therapist. Feedback and results are provided by “Augmented Performance Feedback”, which is a shared software platform that encourages and motivates patients to achieve a higher number of repetitions. This will lead to better, quicker results and improved long-term outcomes. 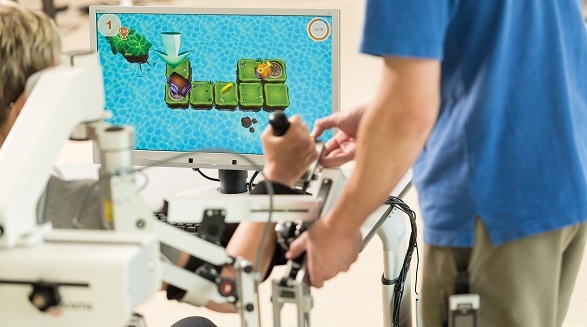 The game-like software also provides automatic, ongoing assessment of motor functions and patients can easily track their progress, which helps them to take their training into their own hands and reach their therapy goals. These programs have been designed to train core movement patterns which are commonly used in daily life activities. 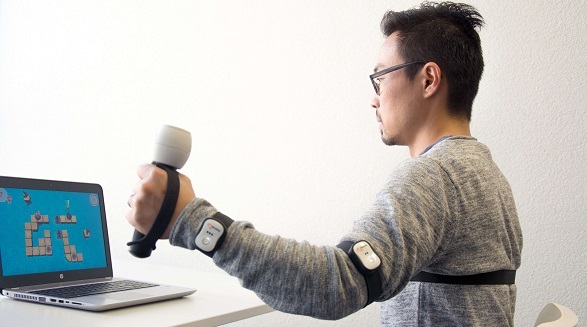 The ArmeoSenso is a new sensor-based solution for arm function recovery. The ArmeoSenso provides highly intensive arm therapy for patients with mild to moderate impairments. It’s self-initiated, active, motivating, and repetitive arm movement in a 3D workspace. It is versatile and easy-to-use, with different settings that can be safely operated by patients. The hand module allows the patient to interact with the Augmented Performance Feedback exercises and train gripping function. Download the ArmeoSenso product brochure here. We are now offering 3 month clinical trials if you would like to try out the ArmeoSenso with your own patients, read more here. Please contact us to request a trial. The ArmeoPower is a highly advanced arm and hand rehabilitation device for early-stage patients, even before they develop active movement. It is the world’s first robotic exoskeleton for integrated arm and hand therapy for severely impaired patients, and is ideal for the initial stages of rehabilitation. The device enables patients to perform exercises with a high number of repetitions for an intensive training session, which is necessary for relearning motor function. 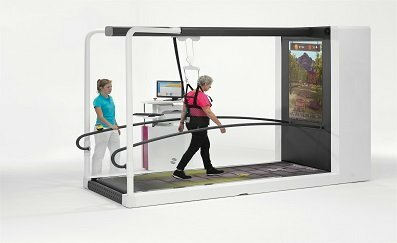 It uses sensors and algorithms to recognise when a patient isn’t able to complete a movement, and will assist the patient’s arm or hand as much as necessary to successfully reach the goal of the exercise. 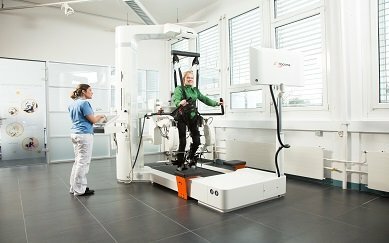 It will automatically adapt movement guidance to the individual needs of each patient, and the six actuated degrees of freedom allow training in an extensive 3D workspace. Download the ArmeoPower product brochure here. Hand function training is optional with the ArmeoPower for patients who need to relearn hand opening and closing, reaching and grasping, using the ManovoPower. 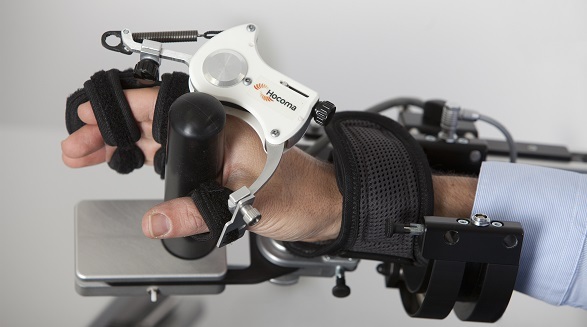 The ManovoPower is an actuated hand module that enables severely impaired patients to relearn hand opening and closing. It has been designed to train grasping and reaching, with assist-as-needed support from shoulders to fingers. A range of game-like exercises will motivate and encourage your patients to work harder for longer. Download the ManovoPower product brochure here. 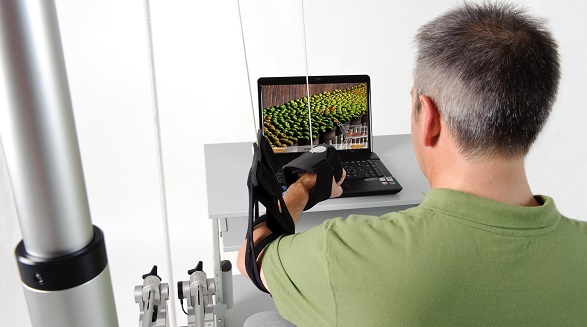 The ArmeoSpring allows simultaneous arm and hand training in an extensive 3D workspace with six degrees of freedom. This enables patients to practice the movements that are key for their therapy progress and daily life. The ArmeoSpring features an adjustable exoskeleton which supports the whole arm, from shoulder to hand, and counterbalances the weight of the patient’s arm. 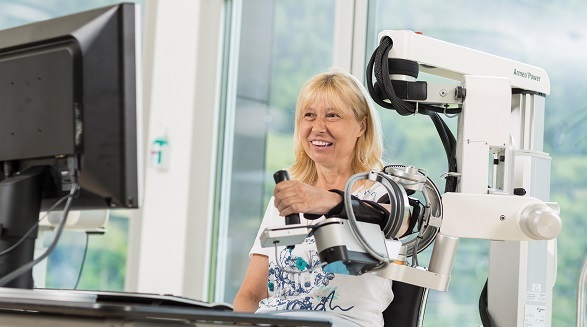 By providing arm weight support, the ArmeoSpring enables patients to use any remaining motor functions and encourages them to achieve a higher number of reach and grasp movements based on specific therapy goals. The activities are based on the patient’s own movements, and built-in sensors record the active movements and all joint angles during the therapy session. The ArmeoSpring enables therapists to deliver higher training efficiency (more hours per day) thanks to self-directed therapy, which may lead to better long-term outcomes. This is possible by reducing the need for continuous therapeutic guidance, thus giving therapists the possibility to supervise more than one patient at a time. The ArmeoSpring can also come in a size that is suitable for children. The ergonomic exoskeleton is still customisable for each patient and will provide the same level of support and training as the full-size model. 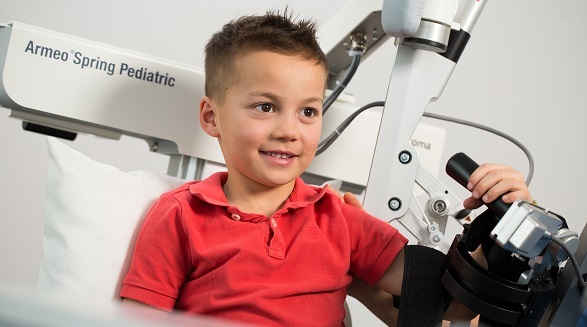 This means that paediatric patients who require therapy for hand and arm movements can still use the ArmeoSpring and see the same excellent results, as well as use game-like software which is great for motivating and engaging children. The ArmeoBoom is a therapy solution for patients with mild to moderate arm movement impairments. It provides an overhead sling suspension system with an adjustable level of arm weight support. 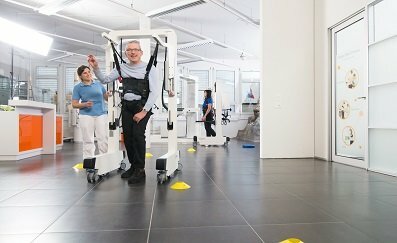 The low inertia enables patients to perform smooth self-initiated movements without any restrictions. Once adjusted, the ArmeoBoom can be operated easily and independently by the patient, so they can practise in their own time. The ManovoSpring is an instrumented hand orthosis which can be used in combination with the ArmeoSpring for patients who are focusing on hand rehabilitation in their therapy. 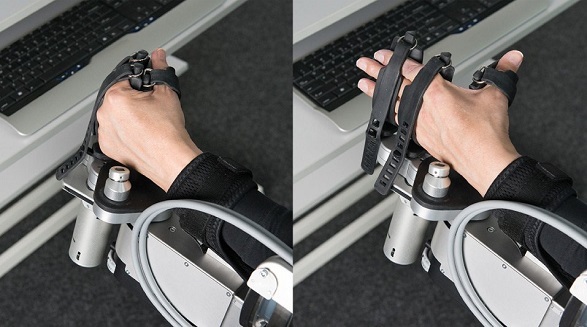 The ManovoSpring features a spring mechanism for adjustable hand opening support that can be used as a real-time input device to the same software as the ArmeoSpring. This has been designed to train grasping function for patients with impaired hand functions due to strokes, traumatic brain injuries or other neurological disorders.